Special thanks to Dixy (‘BokTwo’), TheReebokKid, Piotr, Bobby Necro, Steven Smith, Jane Ashby, David Foster and Scott and Angela at Reebok. I’m looking forwards to the next year a great deal. Peace! Comments Off on Retrobok is 3 !!! Feel free to share up/connect with Retrobok on Pinterest! 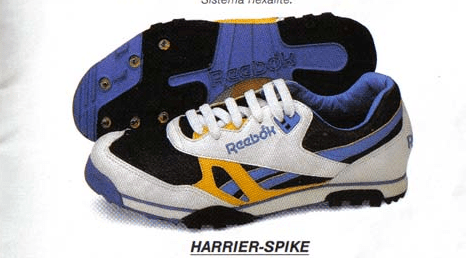 Further updates to the 80’s Wall of Fame: such as the Sydney Maree spike, LC1600, CL1400, ACT 600 and Phase I tennis shoes, Princess, Rapide (alternate colourway), PB 800 spikes… Click image to jump over. Feedback and corrections are always welcomed.